Does your kids’ bedding weave beautiful stories into your bedtime routine? 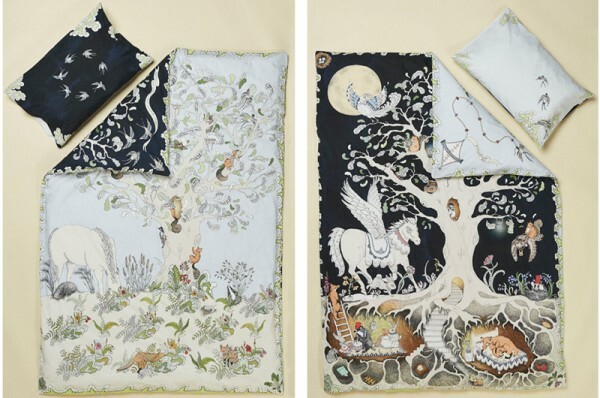 If that sounds like something that would appeal to your little story lover, then you have to check out the Forivor’s exquisite Enchanted Forest collection of luxuriously soft organic quilt and pillow covers. 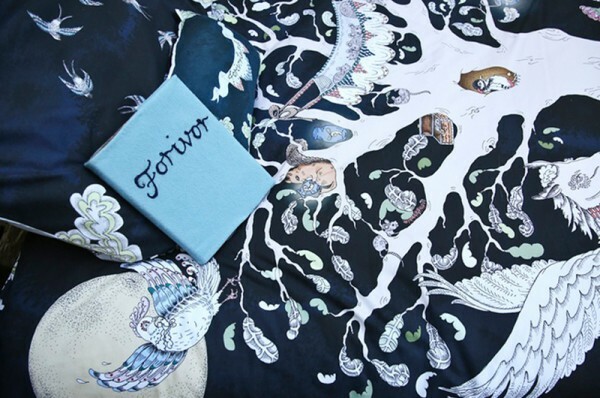 Hoping to nurture a generation of imaginative storytellers with a passion for nature, Forivor’s range of reversible duvet covers and quilted blankets have beautiful hand drawn illustrations of mythical creatures on the nighttime side and wildlife from the English countryside on the daytime side of the bedding. The bedding is presented in a beautiful organic cotton suitcase, which can be used for play or as a first sleepover bag. 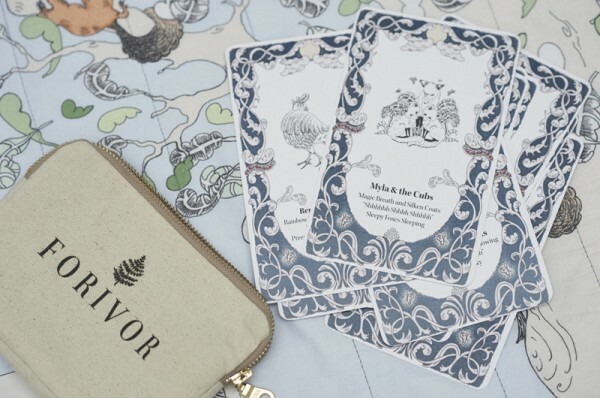 It comes with a set of Character Cards encased in their own sturdy cotton canvas zip-up pouch, that encourage children to learn facts about the wildlife and create stories about the mythical creatures of Forivorland, inspiring a world of storytelling. Imaginative prompts and questions encourage children to create their own bedtime tales. 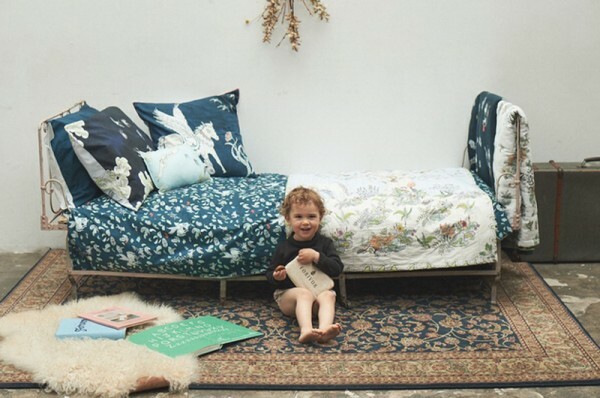 The soft organic children’s bedding range is designed in the UK and ethically made in India to support and protect the natural world that inspired their designs. With magical inspirations woven right into the bedding, enchanted adventures will be the nighttime norm with these delightful characters helping your child snuggle in at night. The collection is being crowdfunded at Kickstarter, where Forivor have already surpassed their £5000 goal. You can still buy a duvet set or quilted blanket from this collection by making a pledge of £110. RRP will be £140 once the Kickstarter campaign finishes. Forivor will ship internationally.